Ueberroth is my favorite vineyard source for Turley grapes that is not named Hayne. 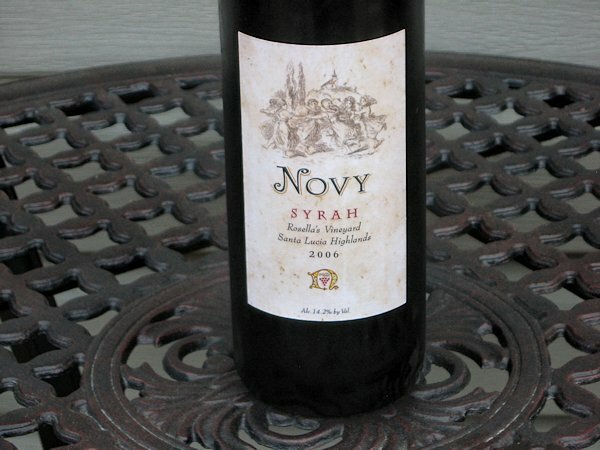 This vineyard generally yields a big, full bodied wine with loads of pepper and spice. 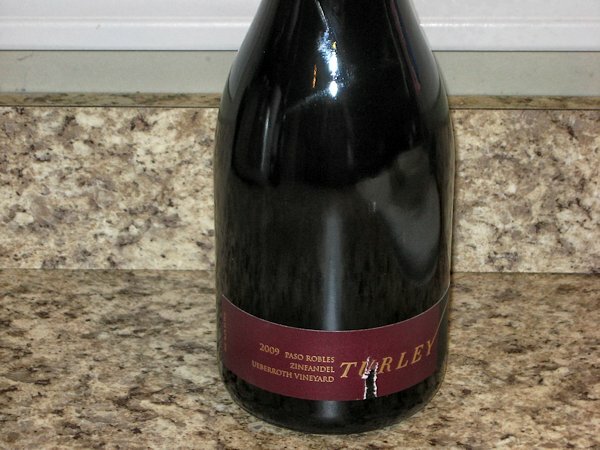 In a nutshell, this is the type of old vine Zinfandel that put Turley on the map. The wine has 16.2% alcohol and the bottle is sealed with a natural cork. Who doesn’t love a glass of good Italian wine with a meal? Italian wines all seem to have one thing in common, great natural acidity. This acidity makes these wines some of the most food friendly wines out there. Just like everywhere, good Italian wines can be costly. 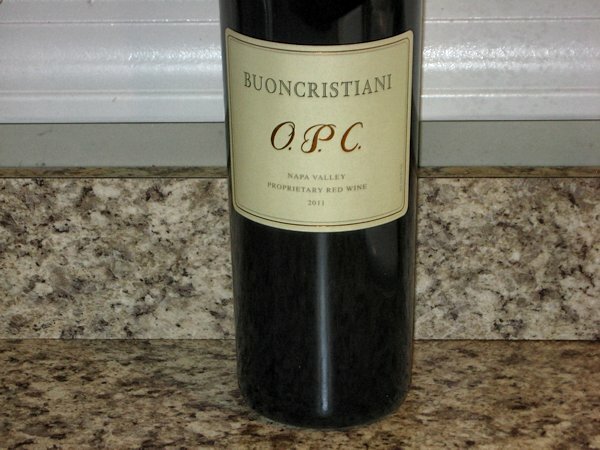 Luckily, there are some very reasonably priced wines out there, besides Chianti, that can help provide a pleasing change of pace from your normal wine drinking routine. 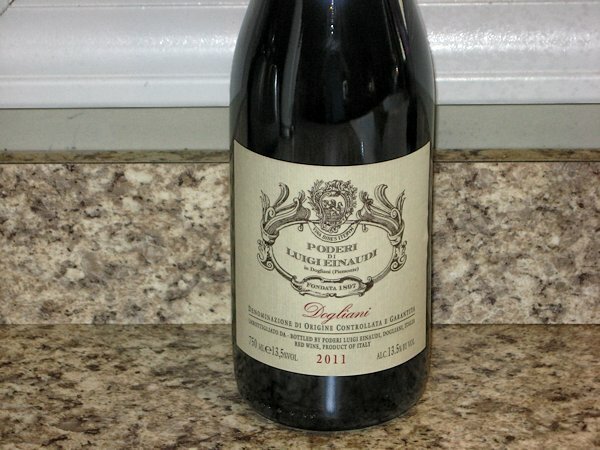 Two very versatile grapes to seek out are Barbera and the basis for this post, Dolcetto. This has 14.4% alcohol and the bottle sealed with a natural cork. I ordered this in late 2008 from Garagiste. By the time it arrived in their Washington warehouse all my other wines had shipped. I cut down on my Garagiste purchases, so I received free storage for a couple of years. I figured the wine was approaching a nice drinking window, so I made sure to order enough wine that these bottles would fill a case and be shipped. This is my fourth of the six bottles I purchased. 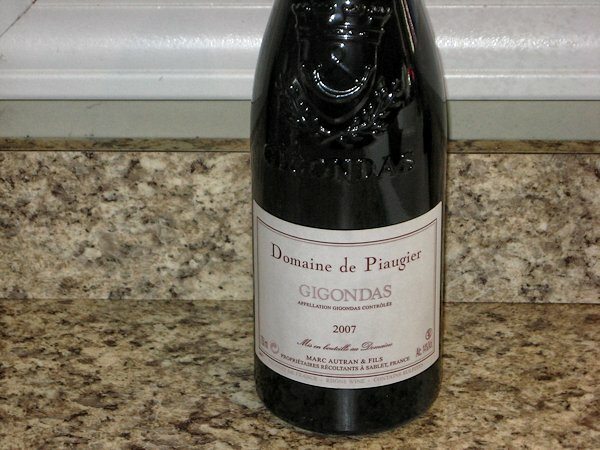 To me, Gigondas is a very unheralded area in the Rhone region of France. These wines usually have a bit more richness than a Cotes du Rhone but in a lot of cases, they only cost a few dollars more. Domaine Lucien Albrecht is one of the oldest and leading Alsace family owned estate, tracing its roots back to 1425. Through the Albrecht eighteen generations, they have become one of the largest owners of prime Alsace hillside vineyards. In the early 70’s, Lucien Albrecht, the father of Jean, the current proprietor and winemaker, was one of the three founding fathers of the regulated Crémant d’Alsace. In 2004, Lucien Albrecht Crémants made history. At the 14th Concours National des Crémants de France (Crémant Wine Challenge), they stole the show, winning an unprecedented Four Gold Medals. 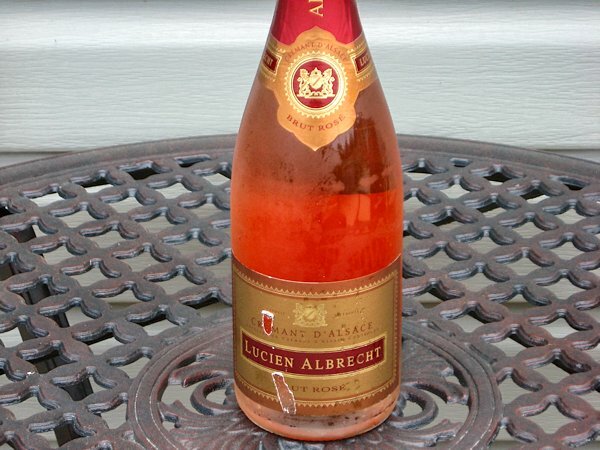 Lucien Albrecht Brut Rosé is made from 100% Pinot Noir. The whole cluster hand-picked grapes are softly pressed in a pneumatic press, hence the coral, light pink salmon color. Lucien Albrecht Brut Rosé is made by using the same methods as in Champagne, i.e “method traditionnelle”. After the second fermentation in the bottle, lee ageing lasts for nine months, followed by remuage and disgorging.